Upgrade work has seen the loop and semaphore signals at Castlerock replaced. The latest phase of the Coleraine to Londonderry infrastructure upgrade was finished by November 21, including the completion of a loop at Bellarena and its associated signalling, the installation and commissioning of Track Circuit Block operation, and intermediate signals throughout the Coleraine to Londonderry section. 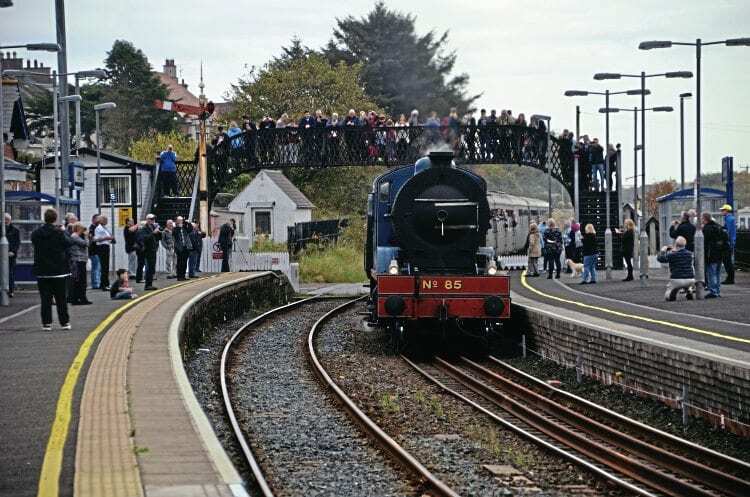 The upgrade has, however, seen the removal of the loop at Castlerock station and the closure of the 1969-built signal cabin there – and with it the end of semaphore signalling on a main line in Northern Ireland. Nos. 3012+3006, which was returning empty from Londonderry (departing around 20.10) to Belfast after working the 17.10 Belfast GVS to Londonderry service. The signalling room at Londonderry station and Coleraine’s ex-LMS NCC signal cabin were also closed on this date. Control of the new signalling plus Coleraine’s existing area of control (to Slatt level crossing on the Antrim side of Ballymena) has been transferred to a dedicated room in the Coleraine station building.